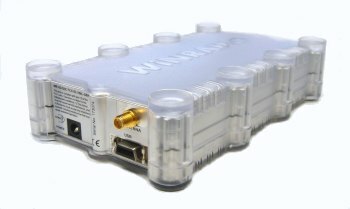 The WiNRADiO WR-G33DDC ‘EXCALIBUR Pro’ is a high-performance, direct-sampling, software-defined, shortwave receiver with a frequency range from 9 kHz to 49.995 MHz. It includes a real-time 50 MHz-wide spectrum analyzer and 4 MHz-wide instantaneous bandwidth available for recording, demodulation and further digital processing. Please contact us if you know of other reviews. This entry was posted in Made in Australia, Software-Defined Radios (SDR), WiNRADiO and tagged EXCALIBUR Pro, Made in Australia, Software-Defined Radios, Winradio, WiNRADiO EXCALIBUR Pro, WiNRADiO WR-G33DDC, WiNRADiO WR-G33DDC EXCALIBUR Pro, WR-G33DDC EXCALIBUR Pro. Bookmark the permalink.